04 April 2016: Specialist children’s toy, gift and homeware distributor Scandi-Chic has given itself a 10th birthday present …. a new name S-c Brands. This is to reflect the changing nature of the business over the last 10 years, and looking to the future. The new identity will go-live on 3 May 2016 ahead of attendance at major trade events this summer. Since the first concept in 2006 to distribute the best of Scandinavian design, Scandi-chic has now developed and evolved and has become the ‘come-too’ place for the three brands they represent, Albetta (Vietnam), Maileg (Denmark) and Fiona Walker England (speaks for itself). So now, the ‘Scandi’ no longer reflects where they are today and at times can cause some confusion to the origin of the brands they represent. So by taking a deep breath and striding forward with the S-c Brands name they have kept a little of the history but encompass what the company will be going forward. The new name will also avoid the misconception that Scandi-chic IS the brand. 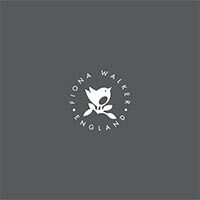 Director – Fiona Walker says ”reaching our 10th birthday is a great milestone for me and my dedicated team, we have maintained our original values – quality, originality and charm – in everything we do and the development of new partnerships this year will grow the business for the next 10 years”. Going forward S-c Brands will concentrate on promoting and increasing the collections they offer, to make them a ‘one stop shop’. S-c Brands offers trade partners cross brand buying opportunities, unlike others whom have a minimum order value for one brand only. This provides a cost effective way to stock their shop and establish themselves as the ‘lovely gift shop’ in their town. Watch this space for the announcement of the addition of new brands previously unseen or represented in the UK to-date in the coming weeks. This brand expansion will be the 10th anniversary focus for Fiona and her team, offering something new and fresh for customers and cementing S-c Brands as a ‘one-stop emporium’.